PDF means Portable Document Format, which is a cross-platform file format developed by Adobe. It is a file format designed to present documents consistently across multiple devices and platforms. PDF documents often contain large amounts of rich content that Google is capable of indexing, which in fact should make them the right feed for SEO campaigns. PDF submission is the best source for traffic and high rank. To Optimizing the PDF for search, the rules of SEO have to be followed. The framework is roughly similar to a general SEO approach, but the details are different from some important ways. 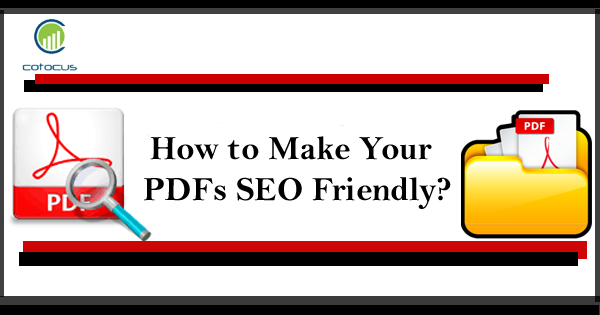 By using all the tips above you can make your pdf SEO friendly.